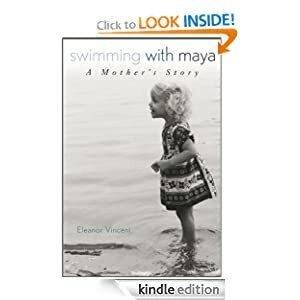 Previously available only in hardcover, Swimming with Maya demonstrates the remarkable process of healing after the traumatic death of a loved one. Eleanor Vincent raised her two daughters, Maya and Meghan, virtually as a single-parent. Maya, the eldest, was a high-spirited and gifted young woman. As a toddler, Maya was an angelic tow-head, full of life and curiosity. As a teenager, Maya was energetic and independent - and often butted heads with her mother. But Eleanor and Maya were always close and connected, like best friends or sisters, but always also mother and daughter. Ultimately Eleanor chooses to donate Maya's organs. Years later, she is able to hear Maya's heart beat in the chest of the heart recipient. Along the way, Eleanor re-examines her relationship with her daughter, as well as Eleanor's traumatic life as a child and young woman. In a story that has been called "heartbreaking and heart-healing," Eleanor Vincent illuminates the kind of courage, creativity, faith, and sheer tenacity it takes to find one's balance after unthinkable tragedy.